I just a got an A Custom Medium Ride a few months ago and I LOVE it. thing is, now I want all A customs, unfortunately I don't have the dough. I had been looking at Saludas but I feel a little wierd purchasing any cymbal I haven't played first, especially putting down anything over $100, But I noticed on the site they will make a Traditional finish a brilliant finish for around $40 a piece. I know it wont be the same but in your oppinion would it be worth it to have that done to my A New Beats and Thin Crash, or would I be better off to spend on the Customs? Any change in sound it would make would be so subtle, you probably would not be able to tell by sound alone. Save your pennies. Shovel snow. Do whatever you can do to earn the money and buy the cymbal you really want. Save your money man good quality cymbals make all the difference. I see so many drummers who have a bunch of cymbals but they are all the low end, crap and it really makes people cringe when they are playing because they sound bad. Get the good quality and dont waste your money because I'm sure somewhere down the road you are going to want to replace them for the better ones. Also get them at guitar center if possible and get the warranty! I agree. 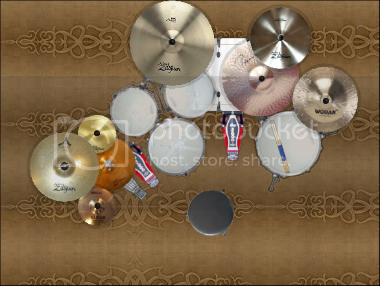 a few great cymbals trumps a bunch of cymbals you're not completely happy with.